Why fixed training schedules are inefficient and unproductive. Awesome video man. It’s funny how many so called fitness experts profess about how important volume and protein synthesis is and how multiple sets is needed to grow the biggest muscles and how heavy weights is only for power lifters/ Olympic lifters but to grow the biggest muscles high reps lighter weight is the best for protein synthesis type bs. All this hype about how such low time under tension isn’t best for building muscles and usually just good for nervous system. But it’s mostly just a bunch of parroted info. I don’t have a theory for why low reps still builds muscle and how low low volume builds strength and muscle faster than the ever so popular high volume bodybuilding styles marathon workouts ( where if that does work they are usually on roids) .. So what do you say? About the protein synthesis cell volume, joint angles of needs a ton of different exercises per muscle group to hit every muscle fibre in all the muscle lengths and joints lol? The typical jargon mainstream body builders claim they need. When this way works just as well without the volume and busting the myth that you need a long time under tension to build. 1. You have to remember that the people who do fitness for a living LOVE to exercise, so they find every excuse to do more of it. Then they look for justification somewhere in the science literature. Anywhere. 2. Taking measurements cuts through all the BS. I’d like to see any of them show consecutive improvement on a workout done every two days for 10 workouts in a row. Once you measure you see the reality. It’s a reality they don’t WANT to see. 3. Measurement keeps everybody honest. If Power Factor workouts or Static Contraction workouts didn’t work it would show up in your numbers very quickly and I’d be exposed as being wrong. But anybody can duplicate positive results using my training. Again, measurement keeps people honest and the lack of measurement allows crap to continue to circulate in gyms. You can also measure using the tape measure to see muscle size increase on 5 seconds. It was very hard for someone who is told over and over that tut and volume builds the most sarcoplasmic hypertrophy etc as taught in the exercise physiology schools. Yet something for 5 seconds with a much heavier load does it just as well and more efficiently… What happened to Greg karr unnoticed he touched on it in past articles? Greg’s been busy with other things, including the SC machine project. Awsome does he have a contact email or a site? The body builders argument on how their hypertrophy training vs purely low rep strength training with is they use Fred hatfield as an example. He squated the most in the world yet had pretty small legs compared to body builders with half that strength. There theory is that because he didn’t have enough time under tension where as bodybuilders do more sets and more reps to build. Yet in SCT it’s only a 5 sec hold and seems to build just as good. What’s your explanation if you have one pete? Does more reps less weight some how build bigger muscles even though it’s less intense? And that strength building with low reps like Fred hatfield didn’t make his legs huge like some of these bodybuilder with half the weight so it’s a confusing thing. 1. Drawing universal conclusions from one guy’s leg development shows how unscientific these guys can get. Wow. 2. Everything works. Light weights, heavy weights, low reps, high reps – it can all build new muscle. 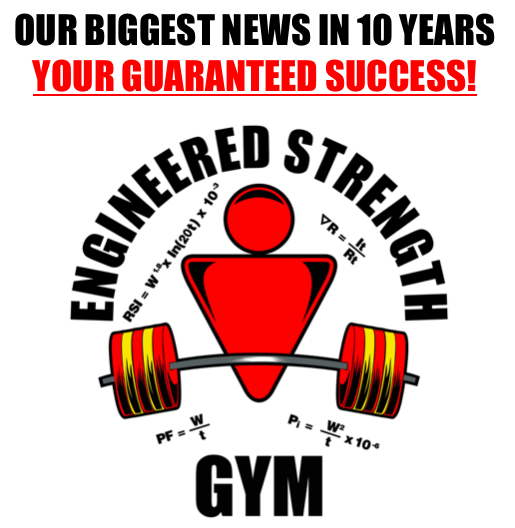 My question has always been ‘how can I get the most benefit for the least time and energy investment?’ So if 1,000 bench press reps with 10 lbs will build about the same muscle as 2 reps with 500 lbs which one would you do? I’m not looking for a new hobby, I just want the health benefits as easily and quickly as I can get them then I want to get on with other things in my life. 1. I don’t have time to refute what every bodybuilder says. 2. How does lifting 100 lbs use more fibers than lifting 300lbs? In what universe does that happen? Issac Newton and the world of physics want to know. I agree with you. Arnold was the best bodybuilder back then yet he wasn’t familiar with partials in the way you teach back then obviously nor does he have any real way to prove full range develops a muscle more and fires more muscle fibers than partial. And I doubt he actually trained strictly partial back then to try it.. He just assumed full range was best because everyone else trained that wayand maybe missed out on even better gains! What do you say. Arnold has a one in a ten million physique – he got dealt the full deck of genetic cards. I’ll be he could have dug holes with a shovel and looked 98% as good as he did from gym training. (And from a logical standpoint, those guys did everything under the sun in their training. I don’t think you could find one tactic they did not try, including partials and static holds (both of which are over a century old) so it’s not possible to give credit to any single tactic. Not to mention the role drugs played in all the champions of the late 70’s and 80’s. When can we look forward to reading about the results of your new workout studies? Also, with your globe trotting lifestyle how do you still manage to coordinate all the online business, personal training, e-book writing, workout studies etc? The study data will be coming in for a few more months but I’ll report is as soon as I can. I have some other ideas on things to test too, so more might get added to the mix. I’m having fun doing this and might try to keep it ongoing. For 8+ years my wife and I have traveled constantly. So far we’ve lived in the US, Canada, Mexico, Belize, UK, Spain, Thailand, Malaysia and Mainland China. Everything we do is online so as long as we have Internet every place is the same for work purposes. I think this is the way of the future. Once you can interact with people online and make a living doing it there is often no reason to stay in one place all the time. Most of our kids do it also. I am currently doing Power Factor….. on my non lifting days I walk at a face pace for an hour or so….. and throw in a day or two of yoga a week…… is this too much to do? It probably is not too much. It’s the real high-intensity stuff that adds to your recovery in a big way. Running hills, wind sprints, weighted backpacks, etc. Moderate exercise is easy to train around. As long as your PF numbers are going up you are doing everything right in terms of recovery time. 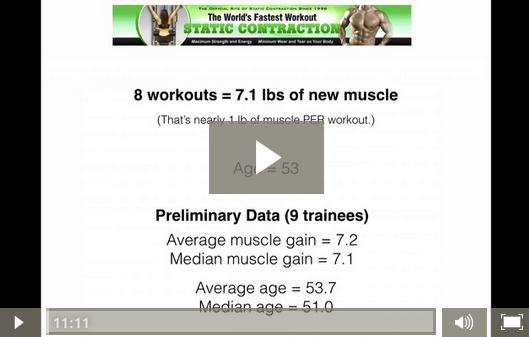 What is the equivalent of static contraction and power factor for bodyweight exercises? There probably isn’t any, so would you apply the same principle? E.g. do 50 pushups in 2 mins on monday, measure and then try again next monday and if you can do 50 pushups in 19 min 30 seconds then that is an adequate recovery period? Don’t have a gym in my area so would love to know what if I can replicate some of the results via body weight exercises. If this type of heavy infrequent training requires 6 to 12 weeks of recovery, isn’t the training causing extreme damage. It is similar to the time often listed as being required to heal a broken leg or recovering from a severely damaged shoulder or elbow. I think this might be why some trainees are reluctant to try SCT. A discussion of this point might help some people understand why recovery is so important. Just a thought. Bodyweight exercises are a problem because there is no way to increase weights in order to deliver progressive overload. As you suggested, the only way to generate higher Alpha intensity is to go faster with the same weight. That’s an invitation to injury. Of course, bodyweight exercises work and you can make progress but your choices for more intensity come down to either racing through exercises and risking injury or always adding more volume (200 pushups instead of 180) as a way to build Beta strength. The latter is inherently inefficient and after a year your workouts might need to be hours long. By contrast, an SC workout requires 25 seconds of total exertion for 5 different muscle groups. I wouldn’t call it damage. Muscle growth takes time. It’s like hair, skin and bone growth in that it takes a long time and it can’t be rushed. Some people can lift 100 tons and be fully recovered in four days. Another person might need four weeks to recover from the same volumetric intensity. When you start taking your personal measurements you discover these things and can train accordingly. Also, none of this is specific to training with SCT. 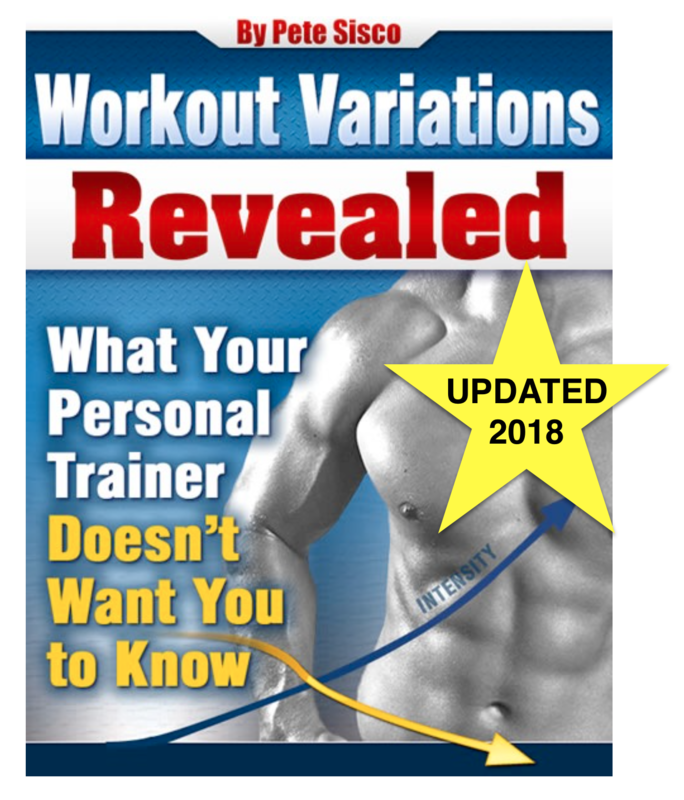 You could perform any workout taken from any bodybuilding magazine, do full-range conventional reps and multiple sets and all the the same principles and measurements apply. If the people doing those workouts actually measured anything they’d discover they need as much recovery, and perhaps more, as the people doing SCT and PF. High Volume (over) training is what causes damage. Both nervous and muscular. Routines like the ones typically mentioned on most websites and magazines will actually require *more* rest days between workouts due to their high volume. To quote Mike Mentzer: “the issue of volume, or number of sets, whether one set or 100 is a negative factor – negative with a capital N. In other words, to the extent to which you work out, perform a number of sets, is a negative because for every set performed there is caused a deeper inroad into recovery ability. For every set performed, more and more of the body’s limited reserve of biochemical resources is used in the attempt to recover, or compensate, for the merely exhaustive effects of the workout leaving that much less available for overcompensation in the form of muscle growth. I appreciate your intelligent approach Pete.I am not a very systematic trainer yet have had good results with the conventional approach albeit modified because I have disagreed with so much that is conventional wisdom re training and think it hogwash. I have quite often upset people by not in fact advocating a conventional Mon/Weds/Friday training approach and argued that you should be guided by recovery not a piece of paper and training that way is a sort of slave mentality, robotic and unreflective. Naturally enough in Bodybuilding,habit and frankly dumbness seem to have the highest value not rational thought.Many people seem to train with the unconscious assumption that whatever has so far proven to be ineffectual will one day work providing you just keep doing it. Another thing that really gets me are the sort of people who assume that despite the obvious evidence that they are exhausted seem to believe that if they just keep going they can force the body to grow and impose their will on the body and its processes by overwelming it with their willpower.These people are so out of touch with reality that I have found that there is no point trying a rational dialogue with them. I am quite a mild person and despite that have found that such is the power of tradition and everyone knows type argumentation that it is quite easy to upset people by just asking a few simple questions.Thanks again Pete. Pete what role does nutrition play? Conventional wisdom says diet is 90% I would bet that’s not true. 1. Conventional wisdom does not say 90% of building muscle is nutrition, only people selling supplements say that. 2. No nutritional strategy will build a single gram of muscle – only training with progressive overload builds new muscle. 3. What percent of people do you see who are so malnourished that their bodies can’t gain weight? 4. All of that said, there is no argument for poor nutrition. It’s just very hard to get sound advice that isn’t aimed at getting you to buy some new ‘miracle’ products. Even government nutritional advice is slanted toward getting you to eat the stuff the big lobbyists are pushing. 5. Finally, I don’t do any research in that area and have no special advice for you. I’d say eat stuff that comes from a farm and not from a factory, but I have to admit I don’t always take my own advice and I’m not a good role model for diet. Haha! If anyone else would just MEASURE the intensity of what they are lifting, they would immediately see what you and I see, Mark. The numbers don’t lie.